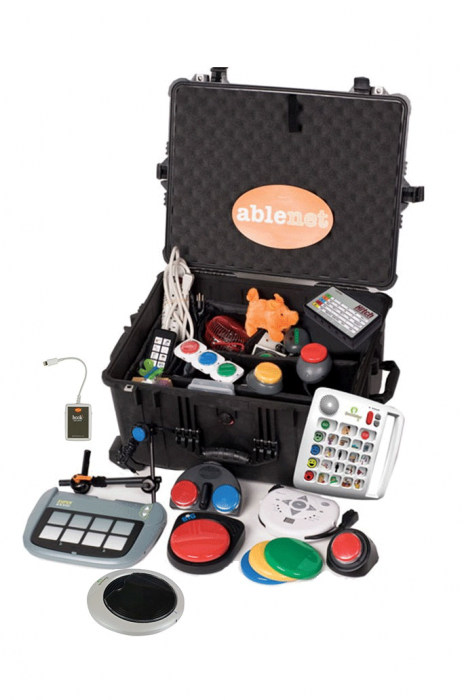 AbleNet has created this portfolio of top-quality up to date products in a kit for your demonstration use. We are excited to offer you an opportunity provide a hands-on experience with this technology at your events. Our goal is that use of this kit will provide a deeper understanding and application of assistive technology at home, school, clinic, or in the community.